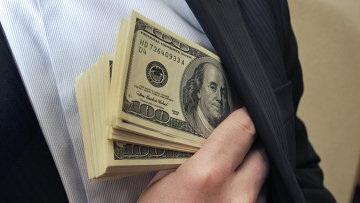 No ‘untouchables’ in fight against corruption – Kremlin | Russian Legal Information Agency (RAPSI). MOSCOW, February 22 - RAPSI. No one should be immune to prosecution for corruption, including high-ranking officials and lawmakers, Kremlin administration chief Sergei Ivanov said on Thursday. According to Ivanov, the public expects more efficiency and professionalism from investigators in the fight against corruption that plagues Russian society. “I have to emphasize that we do not have untouchables,” Ivanov said at a meeting of Russia’s Investigative Committee Board. “We must act decisively and pay no regard to posts and ranks,” he said. Russia was ranked 133rd out of 174 countries in the latest Corruption Perception Index by Transparency International, published in December. Prime Minister Dmitry Medvedev said in February that some 50,000 corruption cases are currently being investigated in Russia. In the latest series of corruption exposés, companies controlled by the Russian Defense Ministry are being probed on fraud charges that total over 13 billion rubles ($433 million). The so-called Oboronservis case led to the sacking of Defense Minister Anatoly Serdyukov last November. According to Russian Prosecutor General Yuri Chaika, damages from corruption cost the state budget 21 billion rubles ($690 million) last year alone. In 2012, Russian authorities prosecuted 889 officials, including 244 city mayors and 114 lawmakers of various levels, and 1,159 law enforcement officials on corruption charges. President Vladimir Putin submitted a draft bill to the State Duma last week prohibiting Russian officials from holding bank accounts abroad or owning foreign-issued shares and bonds, while the presidential anti-corruption council proposed additional sanctions against corrupt state officials. In addition, Russia plans to spend some 3.5 million rubles ($117,000) on anti-corruption training for federal civil servants as part of the fight against corruption. 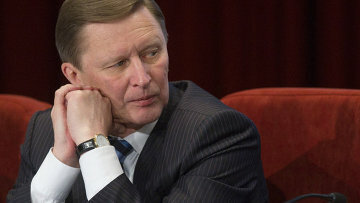 11:33 22/02/2013 No one should be immune to prosecution for corruption, including high-ranking officials and lawmakers, says Kremlin administration chief Sergei Ivanov.